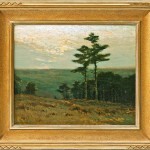 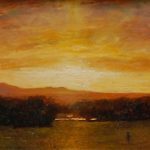 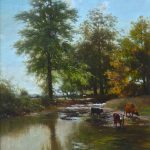 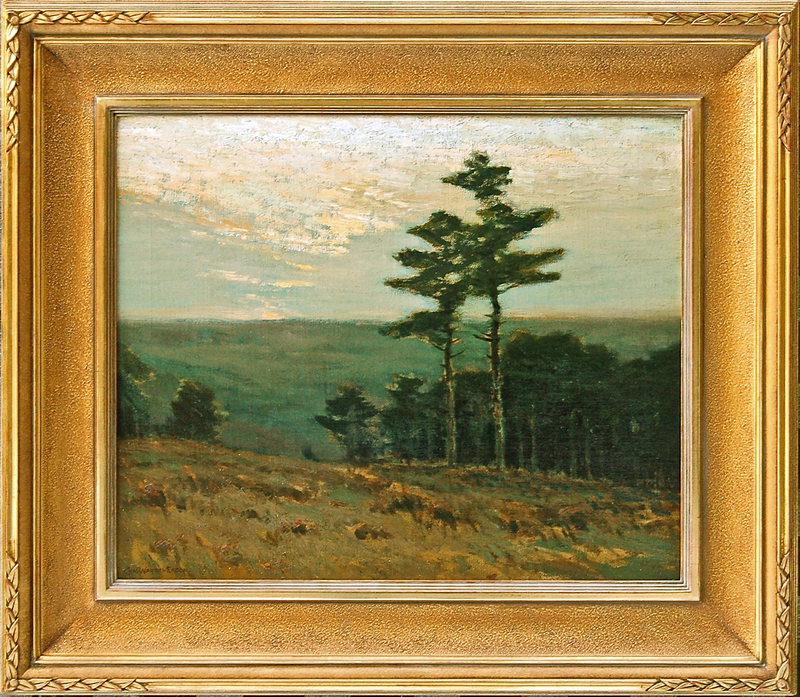 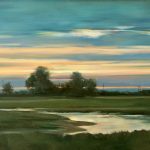 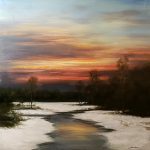 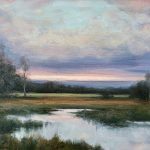 Born in Albany, New York, Charles Eaton became a Tonalist landscape painter much influenced by George Inness. 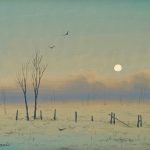 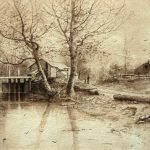 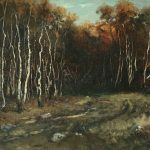 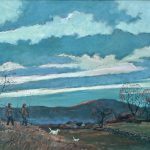 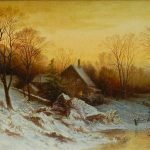 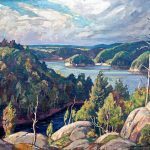 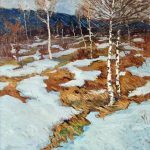 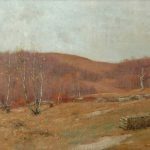 His intimate, moody landscapes were known for subdued golden-brown hues and muted tonal harmonies, and the subject was often the landscape in late autumn, evening time, or winter. 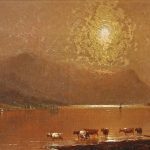 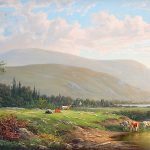 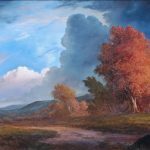 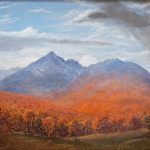 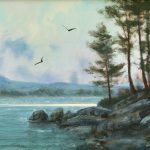 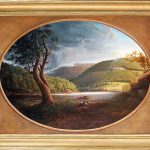 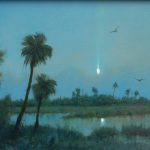 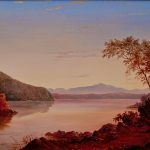 These paintings were groundbreaking because they were relatively small in scale and intimate countryside views, which was a departure from the generally popular panoramic, romanticized views of Hudson River School painters. 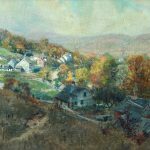 In 1879, he enrolled at the National Academy of Design in New York City and then studied figure painting at the Art Students League with J. Carroll Beckwith. 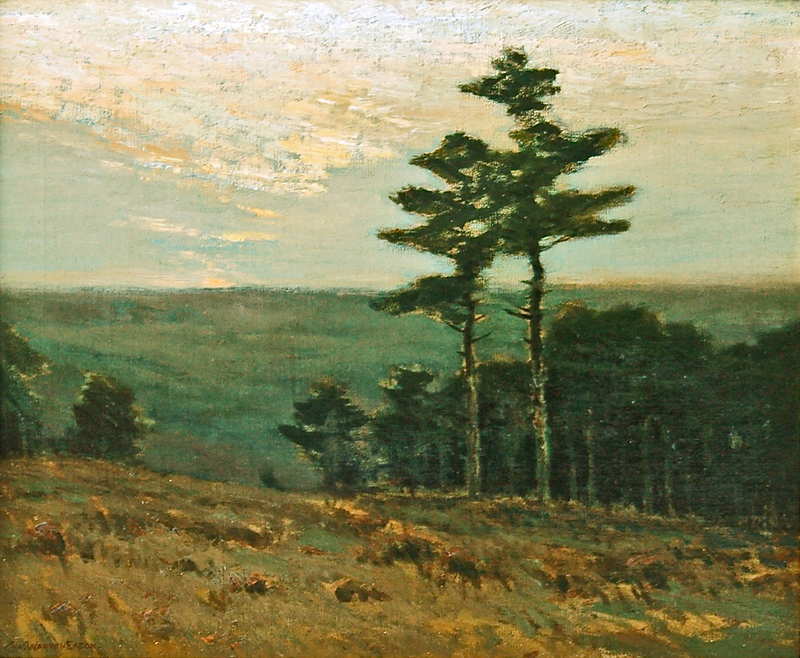 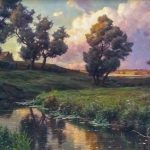 He became a close associate with Leonard Ochtman and Ben Foster, both Tonalist painters, and traveled with them to France and England where each formed their own style in reaction to the pervasive Barbizon style of rural landscape and genre painting. 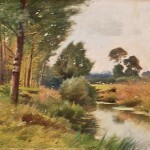 They also visited Holland where Eaton painted many canal scenes. 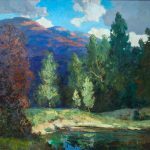 He continued to travel rather extensively, visiting Glacier National Park in Montana in 1921 and returned to Italy in 1910 to 1912 and in 1923. 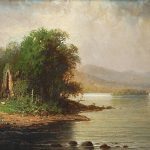 A reclusive bachelor, Eaton maintained a studio in New York City, although he lived in Bloomfield, New Jersey. 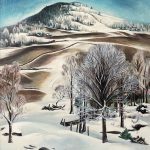 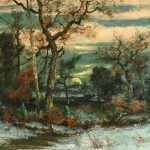 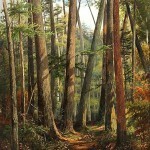 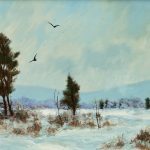 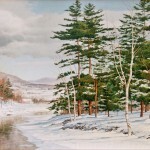 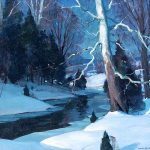 He painted many snow scenes in white and grey purple tones, but by 1900 was focusing more on the theme of the Berkshire pine forests of New York State. 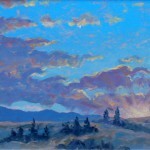 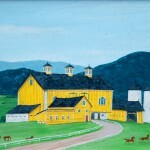 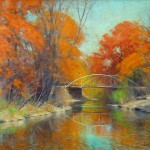 He won many prizes including ones at the Salmagundi Club, the Philadelphia Art Club and the 1904 St. Louis Exposition. 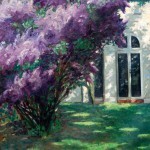 He was a founding member of the Lotus and Salmagundi Clubs. 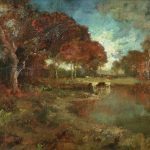 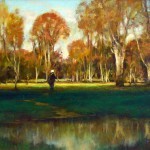 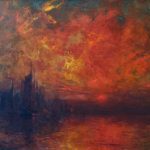 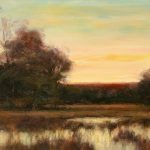 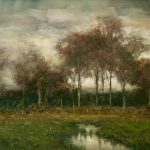 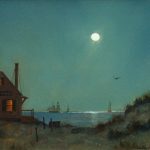 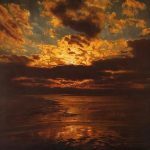 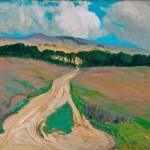 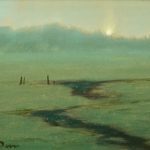 In October 2004, a retrospective of Eaton’s paintings, “Intimate Landscapes: Charles Warren Eaton and the Tonalist Movement in American art, 1880-1920”, was held at the de Menil Gallery at Groton School.